Apache Spark is a system for doing data analysis which can be run on a single machine or across a cluster, it is pretty new technology – initial work was in 2009 and Apache adopted it in 2013. There’s a lot of buzz around it, and I have a problem for which it might be appropriate. The goal of Spark is to be faster and more amenable to iterative and interactive development than Hadoop MapReduce, a sort of Ipython of Big Data. 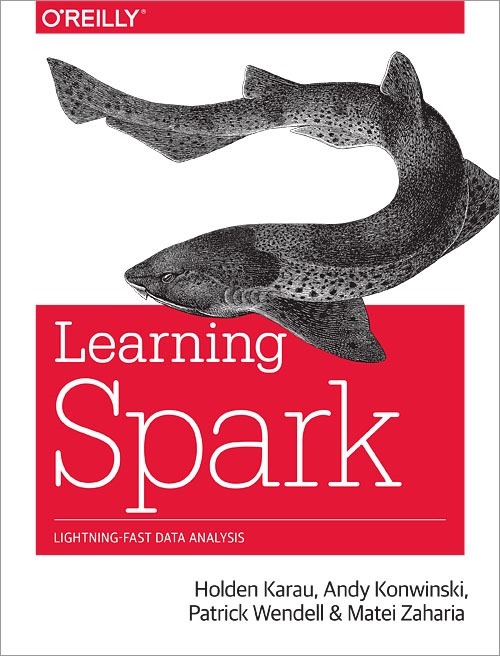 I used my traditional approach to learning more of buying a dead-tree publication, Learning Spark by Holden Karau, Andy Konwinski, Patrick Wendell and Matei Zaharia, and then reading it on my commute. The core of Spark is the resilient distributed dataset (RDD), a data structure which can be distributed over multiple computational nodes. Creating an RDD is as simple as passing a file URL to a constructor, the file may be located on some Hadoop style system, or parallelizing an in-memory data structure. To this data structure are added transformations and actions. Transformations produce another RDD from an input RDD, for example filter() returns an RDD which is the result of applying a filter to each row in the input RDD. Actions produce a non-RDD output, for example count() returns the number of elements in an RDD. Spark provides functionality to control how parts of an RDD are distributed over the available nodes i.e. by key. In addition there is functionality to share data across multiple nodes using “Broadcast Variables”, and to aggregate results in “Accumulators”. The behaviour of Accumulators in distributed systems can be complicated since Spark might preemptively execute the same piece of processing twice because of problems on a node. In addition to Spark Core there are Spark Streaming, Spark SQL, MLib machine learning, GraphX and SparkR modules. Learning Spark covers the first three of these. The Streaming module handles data such as log files which are continually growing over time using a DStream structure which is comprised of a sequence of RDDs with some additional time-related functions. Spark SQL introduces the DataFrame data structure (previously called SchemaRDD) which enables SQL-like queries using HiveQL. The MLlib library introduces a whole bunch of machine learning algorithms such as decision trees, random forests, support vector machines, naive Bayesian and logistic regression. It also has support routines to normalise and analyse data, as well as clustering and dimension reduction algorithms. All of this functionality looks pretty straightforward to access, example code is provided for Scala, Java and Python. Scala is a functional language which runs on the Java virtual machine so appears to get equivalent functionality to Java. Python, on the other hand, appears to be a second class citizen. Functionality, particularly in I/O, is missing Python support. This does beg the question as to whether one should start analysis in Python and make the switch as and when required or whether to start in Scala or Java where you may well be forced anyway. Perhaps the intended usage is Python for prototyping and Java/Scala for production. The book is pitched at two audiences, data scientists and software engineers as is Spark. This would explain support for Python and (more recently) R, to keep the data scientists happy and Java/Scala for the software engineers. I must admit looking at examples in Python and Java together, I remember why I love Python! Java requires quite a lot of class declaration boilerplate to get it into the air, and brackets. Spark will run on a standalone machine, I got it running on Windows 8.1 in short order. Analysis programs appear to be deployable to a cluster unaltered with the changes handled in configuration files and command line options. 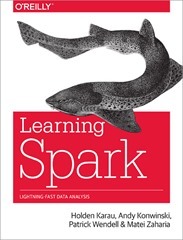 The feeling I get from Spark is that it would be entirely appropriate to undertake analysis with Spark which you might do using pandas or scikit-learn locally, and if necessary you could scale up onto a cluster with relatively little additional effort rather than having to learn some fraction of the Hadoop ecosystem. The book suffers a little from covering a subject area which is rapidly developing, Spark is currently at version 1.4 as of early June 2015, the book covers version 1.1 and things are happening fast. For example, GraphX and SparkR, more recent additions to Spark are not covered. That said, this is a great little introduction to Spark, I’m now minded to go off and apply my new-found knowledge to the Kaggle – Avito Context Ad Clicks challenge! ← Which plane had the most accidents?